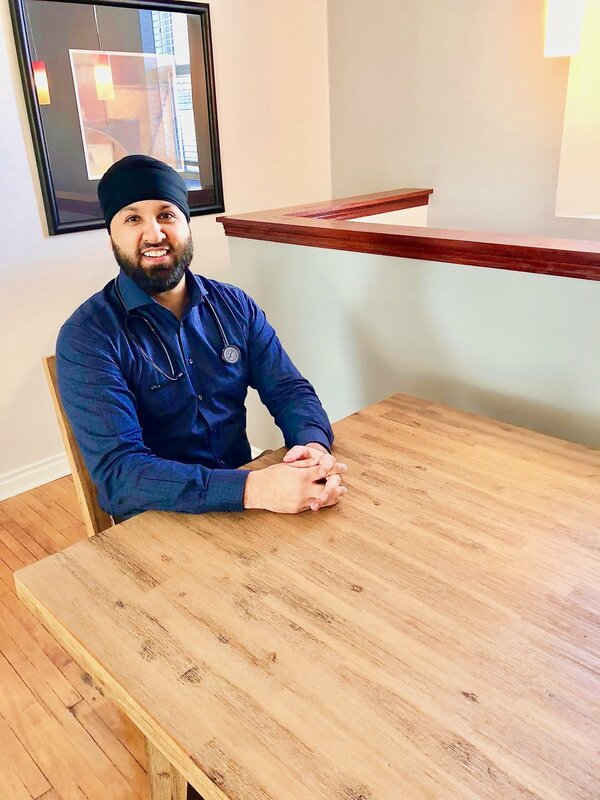 My name is Dr. Aminder Singh and I am a Canadian board certified and licensed naturopathic doctor from Winnipeg, Manitoba. I completed my undergraduate studies at the University of Manitoba obtaining a Bachelors of Science Degree in Human Nutrition. Upon graduating, I successfully completed a four-year medical program at the Canadian College of Naturopathic Medicine (CCNM) in Toronto, ON. While attending CCNM, I gained valuable practical experience treating patients during my one-year internship at the Robert Schad Naturopathic Clinic, Brampton Naturopathic Teaching Clinic (Brampton Civic Hospital), and Sherbourne Community Clinic. I was also selected as 1 of 16 interns to complete a clinical rotation on the Adjunctive Cancer Care Shift. I practice exclusively at Nature Doctors Family Medicine Inc with a general family practice supporting patients of all ages. I treat a multitude of conditions and I value continuing education to provide my patients with the best evidence-based practice. I am passionate about addressing the root cause of disease by utilizing clinical nutrition, botanical medicine, hydrotherapy and traditional Chinese medicine and acupuncture to regain balance in the body. I strongly believe in functional and preventative medicine to empower all my patients to take control of their health and prevent illness. Over the course of my practice, I have developed a specialty focused on treating Lyme-related illnesses, gastrointestinal conditions and providing adjunctive cancer care. I am very excited to be practicing in my hometown, providing naturopathic care in both English and Punjabi.